Neighbour friendly, with a similar attractive appearance on both sides, COLORBOND® steel fencing is a durable and beautiful addition to your property. 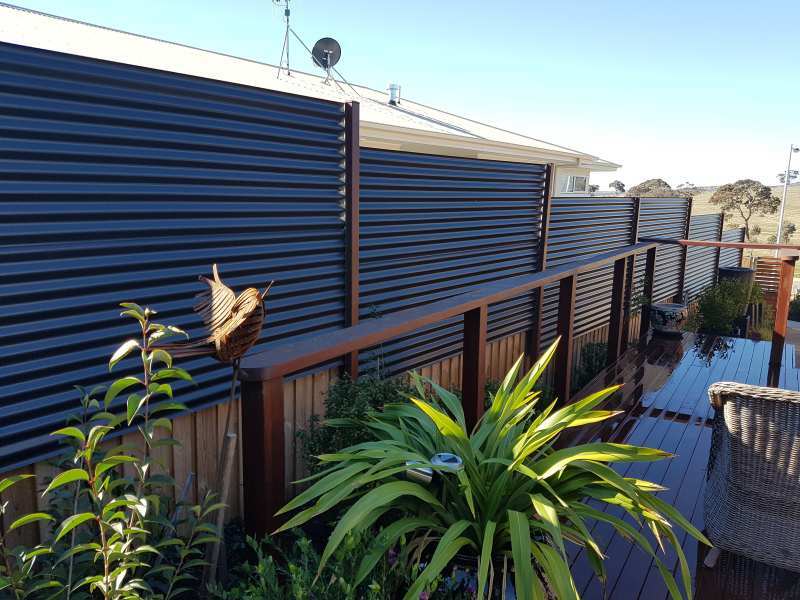 COLORBOND® fencing offers crisp, clean lines and a seamless finish. With a range of colours, profiles and heights to choose from, this fencing can easily blend with the design of any home. COLORBOND® fencing is 100% Australian made and it is designed to last. It will not rust, rot, warp, or be attacked by termites. It is also heat and fire-resistant so it is ideal for homes in bushfire prone areas. It is durable, strong and, considering its unbeatable quality, very affordable. Timber or concrete sleepers can be integrated with Colorbond® fences to retain differences in height between blocks, add height to your fence and provide a secure barrier for pets.